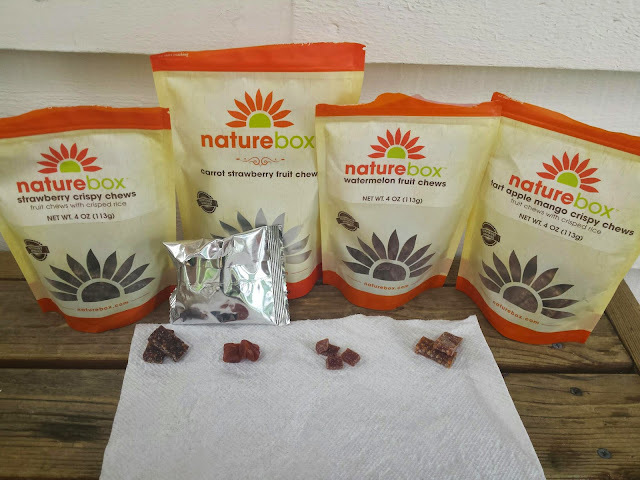 You get to mix and match up to 5 snacks on your account and for this month I decided on four sweet ones: watermelon fruit chews, strawberry crispy chews, tart apple mango crispy chews, and carrot strawberry fruit chews, and one savory one: guacamole bites. Here's a look at the savory one first. 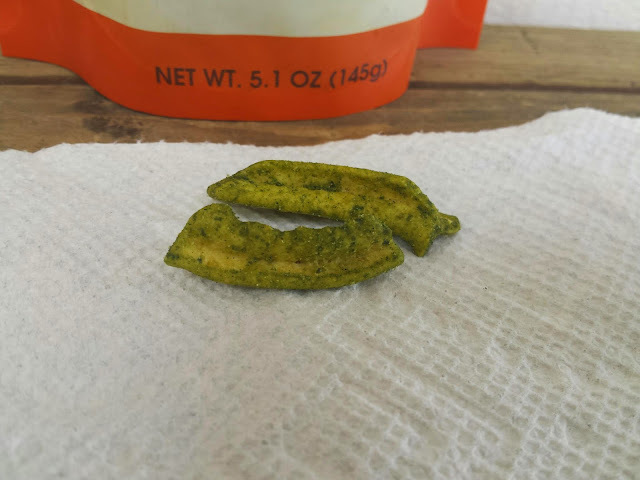 These were corn snacks (think Fritos) with a guacamole salted spice mix on it. I liked these initially, but I couldn't eat too many at once. They became wayyyy to salty. A few pieces for a quick salty fix is nice, but any more and you will be chugging down a glass of water. 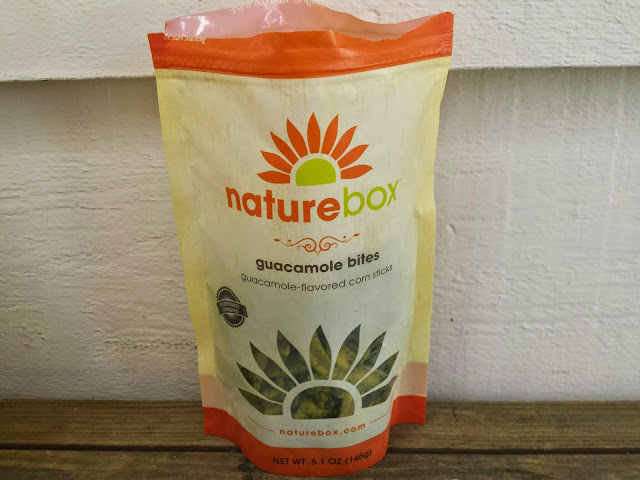 It did have a nice guacamole taste to it, but the saltiness turns me off from it. Definitely wouldn't try this again for myself. If you don't mind salty snacks and like corn chip products, I would say give it a try. Next up I have these four sweet fruit snacks. 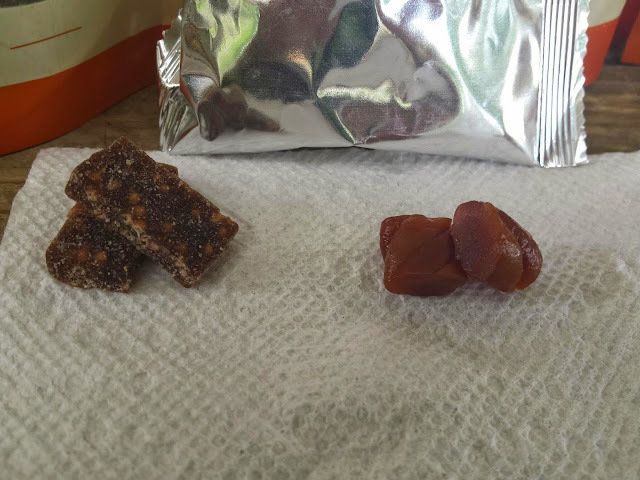 On the left is the Strawberry Crispy Chew. I love this one and it is really different than any other fruit snack I've ever tried, mainly because it has puffed rice crisps in them! The strawberry fruit snack is a really nice texture that isn't too chewy or too soft and the strawberry flavor isn't artificial. Next one I have are the Carrot Strawberry Fruit Chews. I like that this one comes in individual snack packages so you can take a pouch with you on the go instead of the entire thing. I like the texture on these and I could really taste the sweetness of the carrot juice with the strawberry--it was a surprisingly nice combo! They were definitely more of a harder chewy texture. I would definitely pick both of them again in the future. The last two were also fruit snack type items. 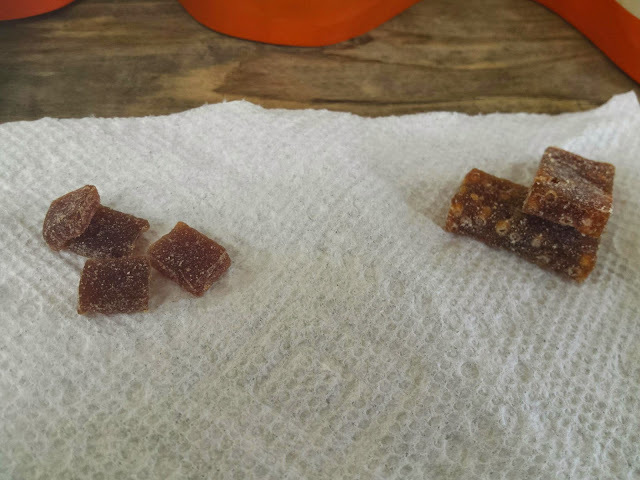 The one on the left were Watermelon Fruit Chews. I wish these had a bit more of a watermelon flavor to them since it was very subtle, but I did enjoy these. They were more of a soft chew and would be good for younger kids. I don't know if I would necessarily pick these up again for myself. The next is another crispy fruit chew, but this time they were the Tart Apple Mango Crispy Chew. Though I wasn't too adventurous in these options, this one tasted even better than the strawberry ones, in my opinion. There is definitely a tartness to it and the mango flavor is nice and bold (I personally love it) and you don't really taste the apple parts which I don't mind. I mean the strawberry one also had apple in it too as an ingredient and you couldn't taste apple in it at all. Again, the rice puffs throughout were a nice texture mix added and I would pick this one over and over. 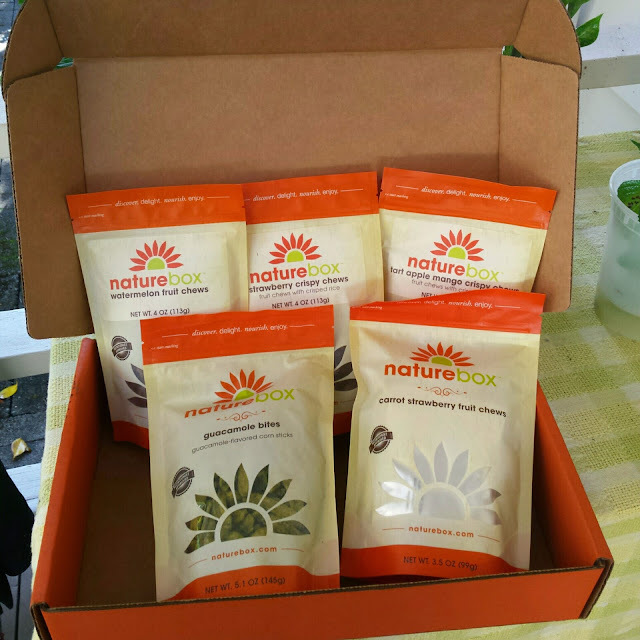 That's my October review of my Nature Box! 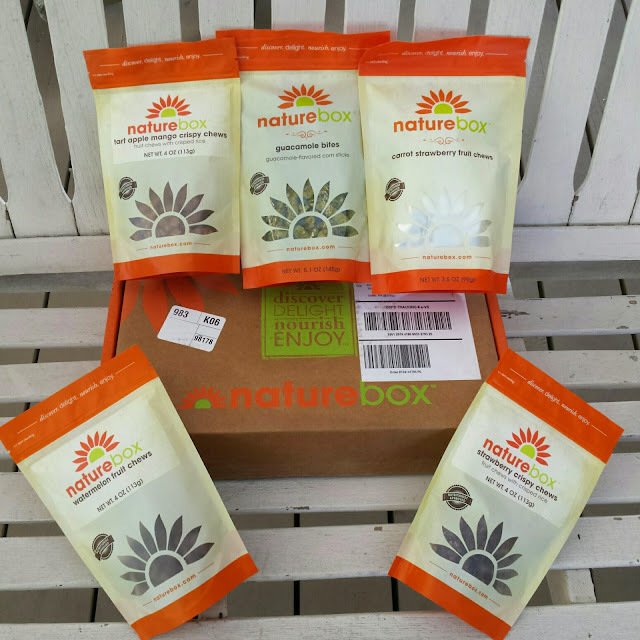 Readers, have you tried Nature Box or a similar service before? What are your favorite type of healthy snacks? Let me know!